They're citing Debka File...a notorious Israeli neo-con website, with a history of promoting dubious erroneous claims and falsifications. On 31st of Mordad (22nd of August) which is known as Defense Industry day in Iran, in a ceremony at Aerospace Industries Organization a new missile named Fateh-313 was unveiled. This new missile which is a new version of Fateh series has pinpoint accuracy and a range of 500 km. 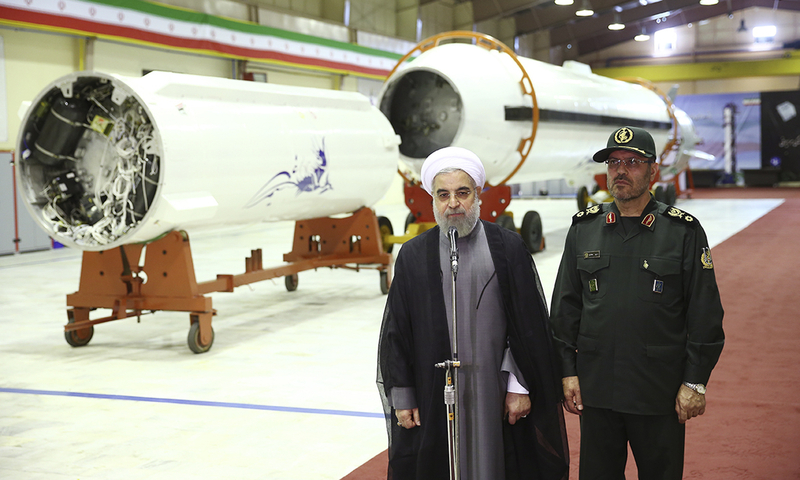 In an official photo released on Saturday, Iran’s president Hassan Rouhani, left, briefs the media after unveiling the surface-to-surface Fateh-313, or Conqueror, missile. Iran’s official IRNA news agency said on Saturday the country’s military had shot down a reconnaissance drone in western Iran near the border with Iraq. IRNA quoted Colonel Farzad Fereidouni, a local air defense system commander, in a report as saying the unmanned aircraft was shot down in recent days after it “confronted” the air defense missile system. He did not say which country the drone belonged to, or give specifics on the timing. Iran has claimed to have captured several US drones in recent years, including an advanced RQ-170 Sentinel CIA spy drone in December 2011 and at least three Boeing-designed ScanEagle aircraft. Iran said last year it had successfully tested its copy of the RQ-170 drone based on one it captured. Tehran has said it is also copying the ScanEagle. 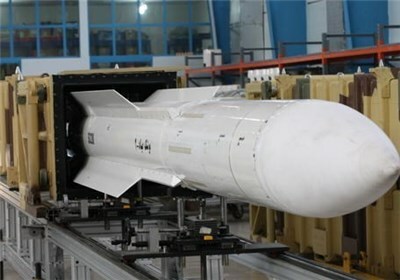 Iran also unveiled a short-range solid fuel ballistic missile on Saturday, an upgraded version that the government said could more accurately pinpoint targets. The surface-to-surface Fateh-313, or Conqueror, was unveiled at a ceremony marking Defense Industry Day and attended by President Hassan Rouhani, who said military might was necessary to achieve peace in the volatile Middle East. State television showed footage of the missile being fired from an undisclosed location. The missile is a newer version of Fateh-110 and has a quicker launch capability, a longer lifespan and can strike targets with pinpoint accuracy within a 500km (310-mile) range, the report said. United Nations security council resolution 2231, which endorsed a landmark nuclear deal reached between Iran and world powers last month, has called on Iran not to undertake any activity related to ballistic missiles capable of delivering nuclear weapons. Iran says none of its missiles are designed for that purpose. The resolution also contains an arms embargo against Iran for the next eight years, but it’s not part of the historic nuclear deal. Iran has said it won’t abide by that part of the resolution and Rouhani reconfirmed it Saturday. “We will buy weapons from anywhere we deem necessary. We won’t wait for anybody’s permission or approval and won’t look at any resolution. And we will sell weapons to anywhere we deem necessary,” he said in comments broadcast live on state television Saturday. Rouhani said Iran could not remain passive when instability has spread in neighbouring countries. “Can we be indifferent ... when there are special circumstances on our eastern, western, northern and southern borders?” he said, apparently referring to fighting in Afghanistan, Iraq and elsewhere in the region. Yes. 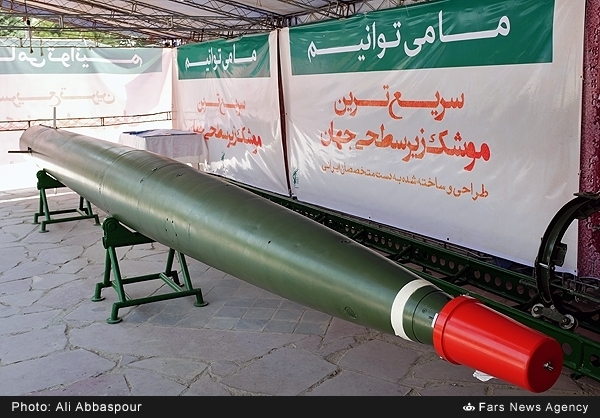 However, Iran "claims" that they make this torpedo. They call it "Hut". Obviously Russia and China have been aiding their arms industry in development covertly. To my knowledge they bought few Shkval Es for their Kilos and then reverse engineered it in mid 2000s, i dont think it was intentional aid by Russia. I doubt that russia would give out this kind of technology. This technology can render higher numbers of vessels relatively unimportant. There's ways around sanctions, the cooperation between Iran and China is far more obvious, they have a long history in cooperation in the act of industrial espionage. Ironically enough Israel and China have the same exact alliance when it comes towards industrial espionage lol! Werewolf wrote: I doubt that russia would give out this kind of technology. Rosoboronexport gives export technology all the time through 'Transfer of Technology' (TOT) agreements. I doubt it will be for such technologies. Outdated technologies that exist already or are of non tactical use or could be used as tactical weapons for bigger scale, besides SS without specific needed yield for their warheads. There are export versions of shkval called Shkval-E.
Unveiling 16 electronic defense achievements in Shiraz Electronics Industries on Monday, Iran’s defense minister said Iran has achieved outstanding capability to confront enemy’s electronic warfare. Addressing the unveiling ceremony of 16 new achievements of Iran's Defense Industries in the Southern city of Shiraz on Monday, Brigadier General Hossein Dehghan emphasized Iran's defense capabilities; “With the efforts of experts in Shiraz Electronics Industries, the required equipment for various sectors of armed forces are being produced,” he said, aaserting that the most important achievement is the manufacture of different radars which can identify and track threats and defend the country. 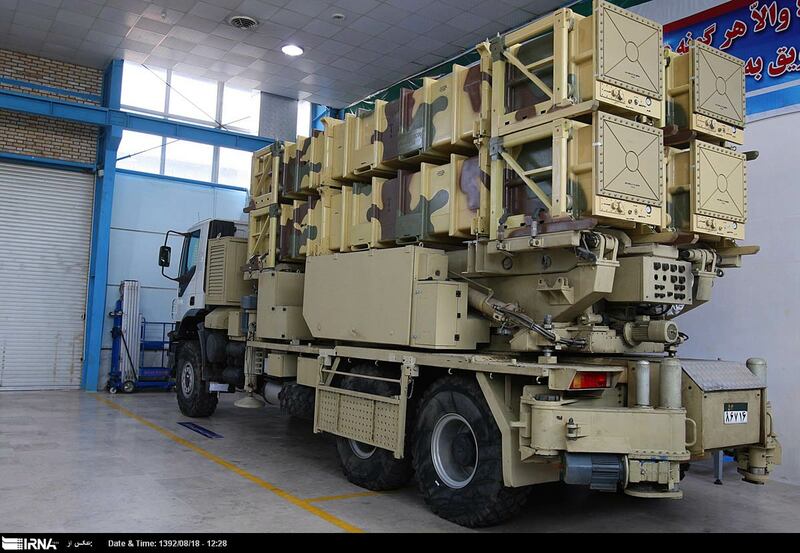 “So far, mass production of different radar systems that can cover a range of objects in distances up to 500 kilometers has been accomplished in Shiraz Electronics Industries,” he noted. General Dehghan deemed the indigenization of the navigation systems of warplanes as another achievement of Shiraz Electronics Industries; “we have made outstanding advancement in area of software production for confronting enemy’s electronic warfare,” he asserted. “Jamming, COMINT (Communications Intelligence) and ELINT (Electronic signals intelligence) systems are capable of identifying enemy position in the battleground and Iran's armed forces will be able to take necessary actions towards enemies in a matter of seconds,” added General Dehghan. Several important defense products were unveiled during the ceremony including a Radar system with the capability of tracking different semi-heavy and heavy weapons as well as taking action during electronic warfare, Ghamar 3-D search and control radar system with the capability of tracking more than 100 targets, including fighter jets and drones, up to a distance of 450 kilometers at different altitudes and transferring the relevant data to the air defense network as well as Absar video-imaging system which can be mounted on fighter jets and drones. Dehghan also inaugurated the production line of air and airport navigation systems including MLAT (Multilateration), ELINT as well as COMINT systems. The Military Intelligence chief said Israel and Iran are engaged in a technology war in which the Islamic Republic is rapidly narrowing the quality gap. Maj. Gen. Herzl Halevi, speaking at a closed lecture Thursday, added that if the anxiety generated by the videos of Palestinians stabbing Israelis on social media had existed in 1948, Israel would not have won the War of Independence. He also revealed that recently, MI abandoned an operation at the last minute because of a letter the corps received from a low-ranking officer in its 8200 signals intelligence unit. Halevi was speaking to a few dozen donors and faculty members of the College of Management at the Rothchild Bank in Tel Aviv. It was an uncharacteristic appearance for Halevi, who in the year since he succeeded Aviv Kochavi has maintained a low profile. The general did not give a detailed intelligence assessment but delivered remarks that had never been made in public by a top officer in the Israel Defense Forces. The war, he said, was over intelligence, weapons and military capabilities, and Halevi was pessimistic. “Today we have the advantage. Iran is closing in on it. Since the 1979 revolution, the number of universities and university students in Iran has increased twentyfold, compared with three and a half times for Israel,” Halevi said, adding that enrollment in science, technology, engineering and math in Iran was skyrocketing. Halevi touched on the current wave of terror attacks and the difference between the country’s past wars, conducted mainly in border areas, and today’s wars, in which the home front suffers many casualties. He said a main issue in today’s wars was awareness. “It’s not about how many you killed and how many the other side killed, and it’s not about how far you got and where you planted your flag. It’s about the story that the war tells,” he said. Halevi said it was much harder for MI to develop and retain intelligence sources today than a decade or two ago due to rapid technological change. “The same kilogram of intelligence costs much more than it did 10 years ago. Not only does it cost more, its expiration date is significantly sooner,” he said. “Twenty years ago you had an intelligence accomplishment and you were set for the next five to seven years. Today you might have worked really hard, risking people’s lives, carrying out all sorts of maneuvers. You got something, but with the speed at which our world operates and the speed at which technology changes,” the expiry time declines. He said MI’s organizational culture was such that even soldiers and junior officers could have great influence. “We faced a dilemma over whether to carry out a particular operation in a particular place. It was about to go up to the chief of staff for a decision, and we needed to decide whether to do it or not,” he said. “An officer enters my office and says, ‘Listen, I want you to read this, it’s a letter from a first lieutenant, a network intelligence officer at a Unit 8200 base.’ He’s a first lieutenant. He writes a letter to the Unit 8200 commander and to the head of MI: ‘Listen, I think you’re making a mistake,’” Halevi said. Halevi defended the standing army against recent criticism about the size of the defense budget. “There’s a bit of an atmosphere in the country today — maybe you don’t think so — but the officers feel that’s it not so positive toward the army,” he said. Halevi said he even feared the elimination of mandatory military service in Israel. “The quiet depends on our being strong, and my fear is that we will end the model of a people’s army, and then the IDF won’t accept all of Israeli youth into its ranks and won’t take advantage of the best people,” he said. Except that it can't float. 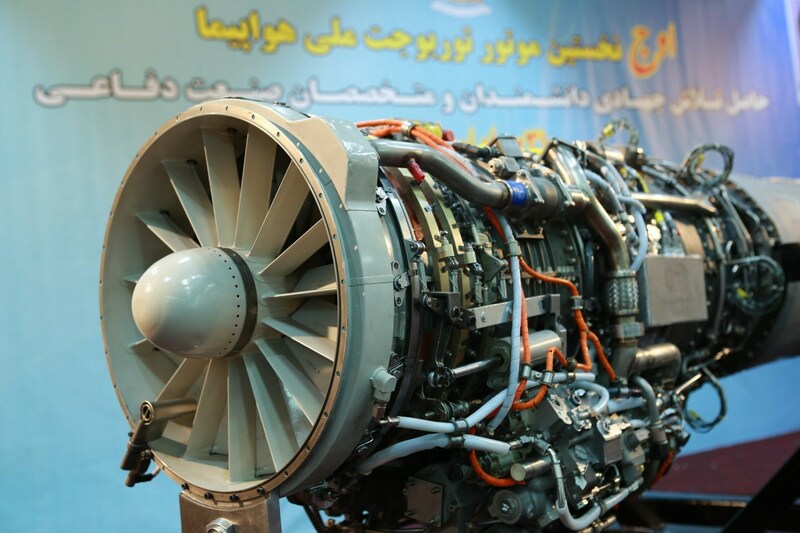 Today on the day of defense industry several new defense achievements have been shown, one of them is Iran's first turbojet engine, the new engine is called ''Owj'', it is based on J85 turbojet engine but it has some major upgeades and changes in compressors ,combustion chamber and even possibly more changes. 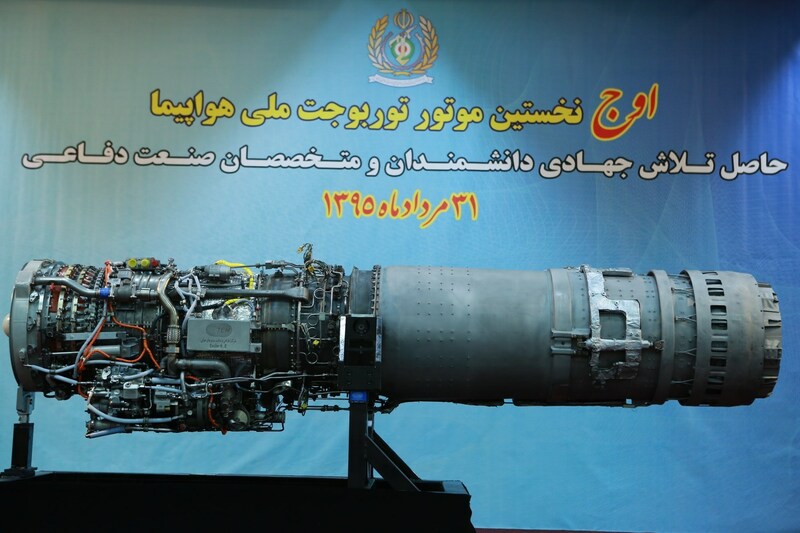 Owj engine will be used in Kowsar-88 training jet which will be unveiled in this Persian year. They have also shown Bavar-373 and it looks good. MTN1917 wrote: Today on the day of defense industry several new defense achievements have been shown, one of them is Iran's first turbojet engine, the new engine is called ''Owj'', it is based on J85 turbojet engine but it has some major upgeades and changes in compressors ,combustion chamber and even possibly more changes. This Owj engine have afterburner installed, so I doubt it will be used for training jet only. With major upgrades, most probably with help from Russia, I'm sure it have more trust than original J85 engines from their F-5E fighters. Their fully domestic Owj enjine will enable Iranian aviation industry to serially produce their own new built Saegheh fighters developed from F-5E/F (up to now they were modified existing F-5 fighters). With more powerfull engines, it will be no worse than JF-17 or Tejas, specially if Russia provide Kopyo multirole radar or even Osa-2 PESA radar developed for MiG-29UBT. Both radars could use R-77 missiles and have ground attack modes. With Pastel RWRs, it could use Kh-31P anti-radar missiles as well. Still good jet to support Iranian troops. 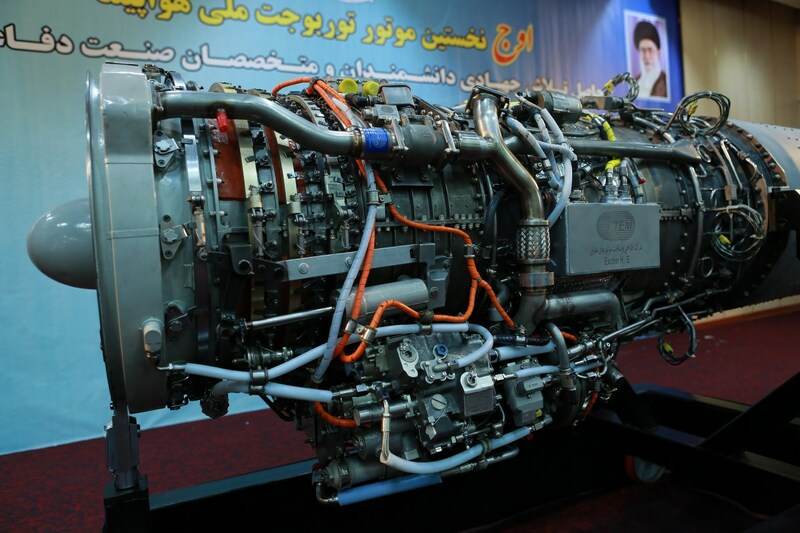 AFAIK they already produce their own Azarakhsh -around 400- and Saequeh -around 200- with their own jet engines. Better, since 1978, Iranian Air Force without US spare parts used to operate its F-14, F-4 Phantom, F-5, Mig-29 as they successfully refurbished them. Else they had to ground them. In my view this OWJ is a simple technology demonstrator. It means despite a cruel blockade initiated by West, that Iran overcame for a long time its Jet-engines problems. I know they have a common project with Russia it called Shafag and could be restarted, as Russia is refusing now to comply to west sanctions. In my view this OWJ is simple show off, a message to the world explaining that Iran now could sell jets. Not as Russia, US, France, UK, Swede, China etc...but light jets too and mostly effective drones. ... if Russia provide Kopyo multirole radar or even Osa-2 PESA radar developed for MiG-29UBT. Both radars could use R-77 missiles and have ground attack modes. With Pastel RWRs, it could use Kh-31P anti-radar missiles as well. Still good jet to support Iranian troops. AFAIK iranians used to produce their own radars, and maybe they are on the verge to produce their indigenous miniaturized AESA radar. They produce their own air-air to missiles like Sidewinder, and Phoenix dubbed "Fakour". In my view Iran is seeking to produce-with cooperation- mostly a heavy superiority air fighter like SU-30 or J-11 to replace its F-14, and F-4 Phantom II. I don't know who among Russia or China will be the next provider. It is said that iranians are on verge to produce their own Saturn AL-31, and RD-33, but for wich aircraft ?